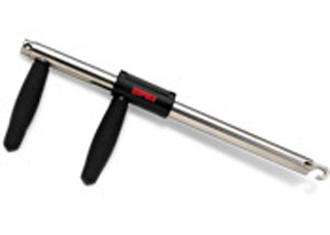 RAPALA HOOK REMOVER Stainless steel construction keeps these essential tools working for years. A built-in hook file ensures quick and accurate sets. The long reach hook remover is ideal for releasing larger species. Available in 2 sizes.